Staring down the lens as it calmly eats a bug, this picture of lime-green spider has won an International Photo competition. 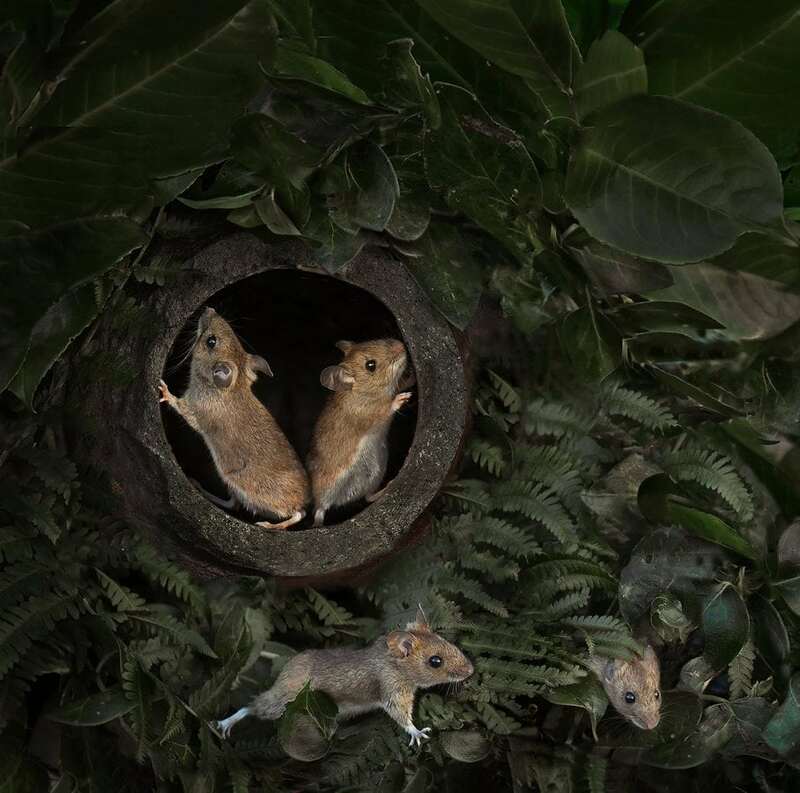 Entries from India to South Africa and Britain were winners or highly commended in the Society of International Nature and Wildlife Photographers’ Discovering Nature Competition. 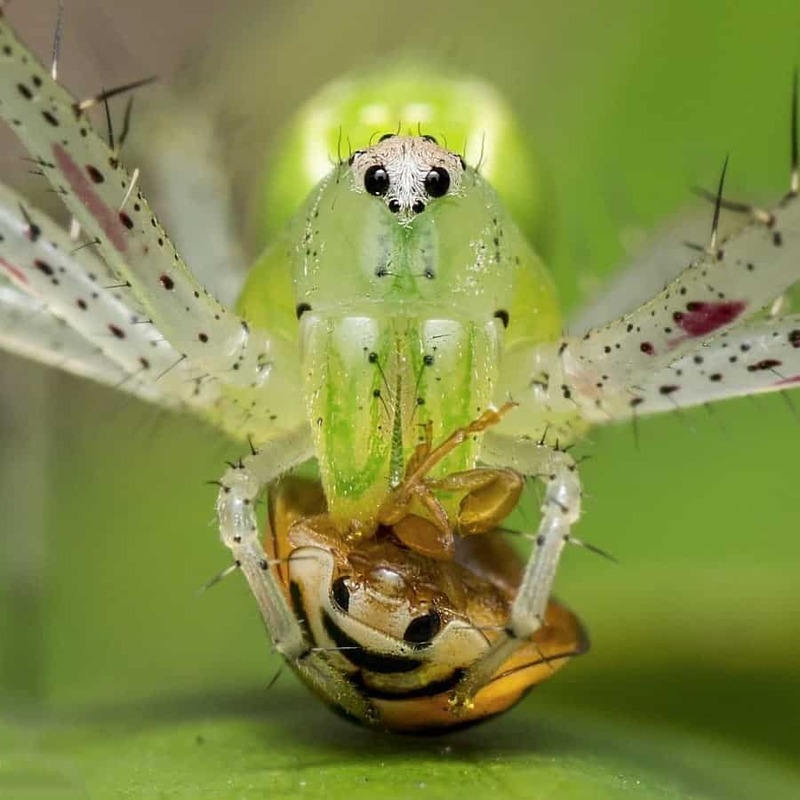 Indian student Agniswar Ghosal, 23, beat hundreds of entries to win the competition with this picture of a Green Lynx spider feeding on a beetle in Lalbandh eco-zone in West Bengal. He said: “The photograph represents a natural history moment. Story of a prey and a predator. “It was around 10am and me and one of my friend were searching for some macro subjects. “We noticed a some activity going on a green leaf. We approach towards the leaf and saw a Green lynx spider feeding on a beetle. “At first I got some side views then the spider turns towards my lens with the prey. 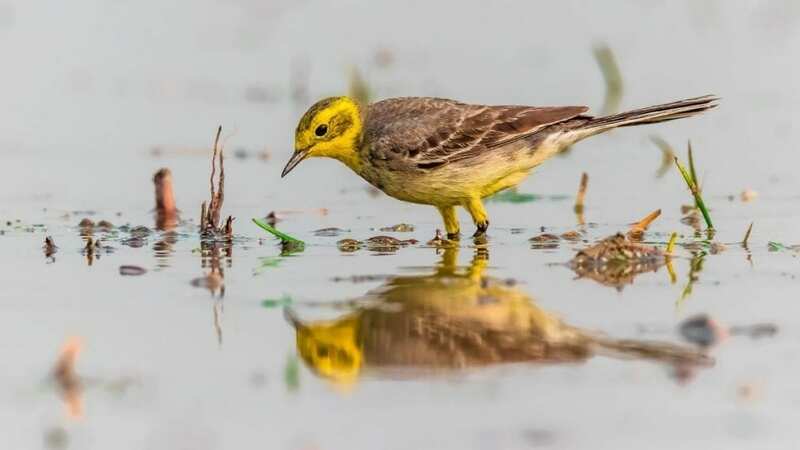 Runner-up was fellow Indian Achintya Adhikari with aCitrine Wagtail and its reflection. He said: “This photo was taken in a wetland of rural area of West Bengal, India. This place is situated in a rural village, so there’s lot of open space for agriculture. “The field was dug up, so there were so many small insects. This beautiful Citrine wagtail was roaming around in search of food. “I was almost lying down parallel to the field to take this picture while this bird is eying for an insect. 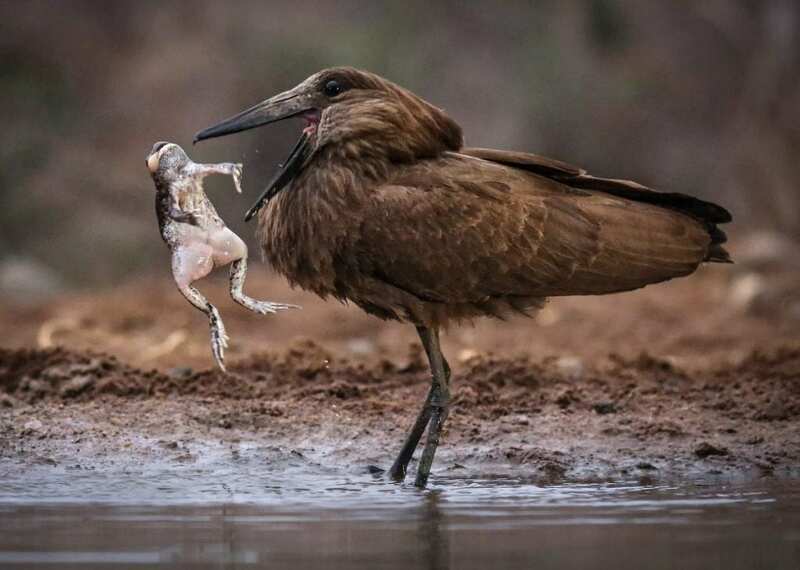 Joint third was Brit Alan Jones who caught a hammerkop eating a frog at dawnat Zimanga reserve in Kwa-Zulu Natal in South Africa. He said: “I had spent all night in a hide next to a waterhole which has subdued lighting for shooting in darkness. “There wasn’t much happening during the night but this occurred just after dawn and is the most amazing wildlife event I’ve ever seen first hand. Shooting was difficult due to the fast movement and low light. “Most of the many frogs in the water during the night had disappeared by dawn but this straggler was captured by the Hamerkop who clearly knew what he was looking for. 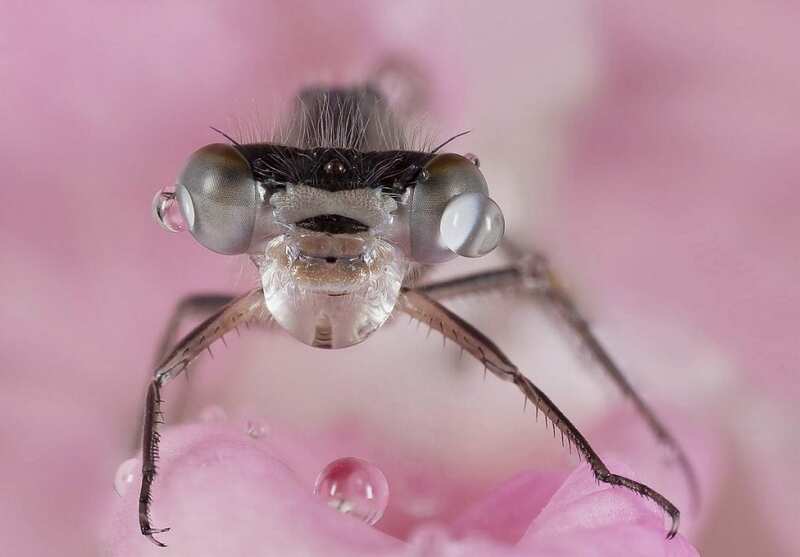 Joint third was closer to home with Darron Matthews taking this amazing close up of an immature Common Damsel Fly in his back garden in Cannock, Staffordshire. Amateur photographer Darron, 52, said: “The images in question were taken in my back garden with a maximum working distance of four inches. 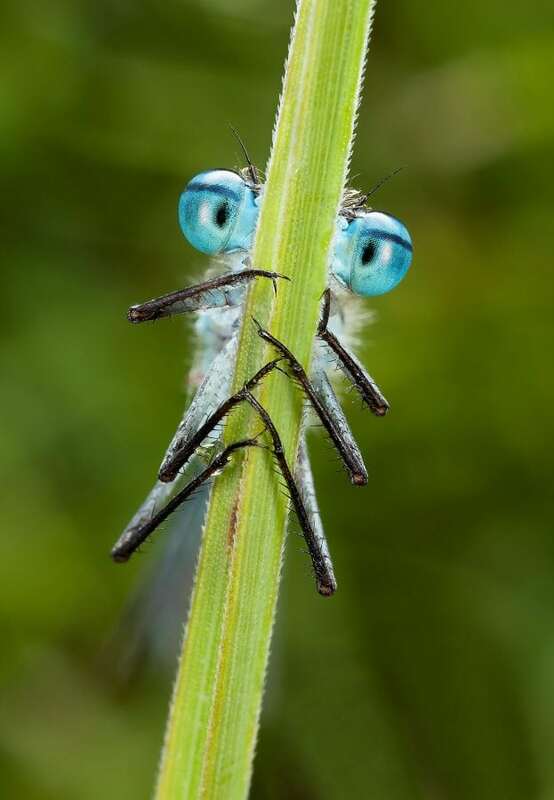 And a cheeky snap of an adult Common Blue Damsel Fly peeking out from behind a blade of grass also got him highly commended. Also highly commended were two shots by Scot Lenny Smith, mice playing by a farm building’s dried up waste pipe and a greedy gannet gulping a fish in flight. He said: ” I had been watching the mice for weeks before I got this image. 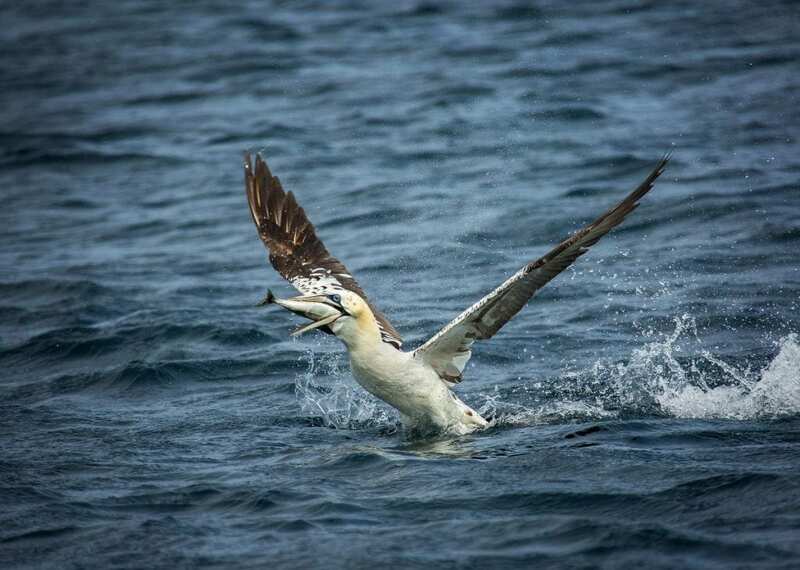 “The gannet image was taken off a boat off of RSPB Troup Head in Aberdeenshire and it was the case of being at the right place at the right time. Phil Jones, the Societies’ CEO said: “For this competition we asked to see images that shown the beauty of a nature including animals, insects, wildlife, flora and fauna. “The entries did not disappoint with a wonderful selection of stunning and colourful shots.